Almost every clinic in the 123 Dentist network is experienced in treating children of all ages. Pediatric Dentistry is important to us, and teaching children about good dental health is crucial to their ability to look after their health as adults. We only get one set of adult teeth, so it’s important we make sure that they grow in properly and are cared for properly. Establishing good cleaning habits at a young age and making your children feel comfortable at the dentist are crucial to their future dental health. Together let’s take a look at some important tips for children of all ages. 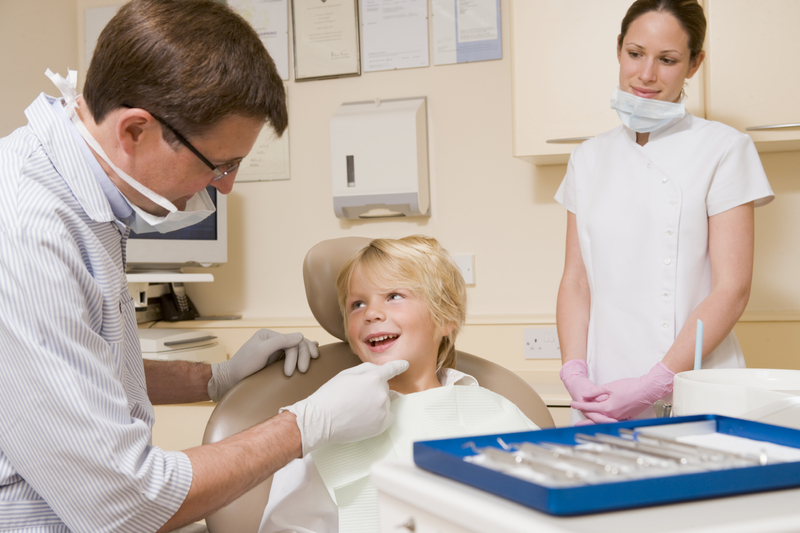 Your child’s first visit to the dentist is very important for establishing trust. So many children have had bad experiences at the dentist because they are not properly warmed up to the idea. Nobody likes having tools and fingers in their mouth, but by building a relationship from a young age, we can encourage trust make the experience enjoyable for children. It’s even possible for them to be excited to visit the dentist, and our clinics are ready to build that positive relationship. The first visit to the dentist should actually occur when your child reaches his or her first birthday. Even if teeth haven’t grown in yet, it’s a good idea to introduce children and get them comfortable with the idea of a dentist appointment. On their first visit, the goal is a simple meet and greet, plus a tooth count to make sure teeth are beginning to grow normally. It’s also for you, as a parent; the appointment serves as an excellent opportunity to learn more about home dental care and how to get your children used to brushing and flossing. Keep in mind that every child’s dental development is a bit different. It’s normal for teeth to grow at different rates, but you can talk to your dentist about what to expect in more detail. Surprisingly, many parents aren’t aware of the importance of brushing and flossing when it comes to young children. The commonly held belief that ‘it doesn’t matter until the adult teeth grow in’ is untrue for a number of reasons. To begin with, you should practice brushing with your children at an early age, even if their teeth are not all grown. Teaching good brushing habits and getting them used to the idea will make it easier to encourage good behavior later. Start with a soft brush, practicing twice a day. The same is true with flossing, which you should practice as soon as there are any teeth growing, even if they are not together. 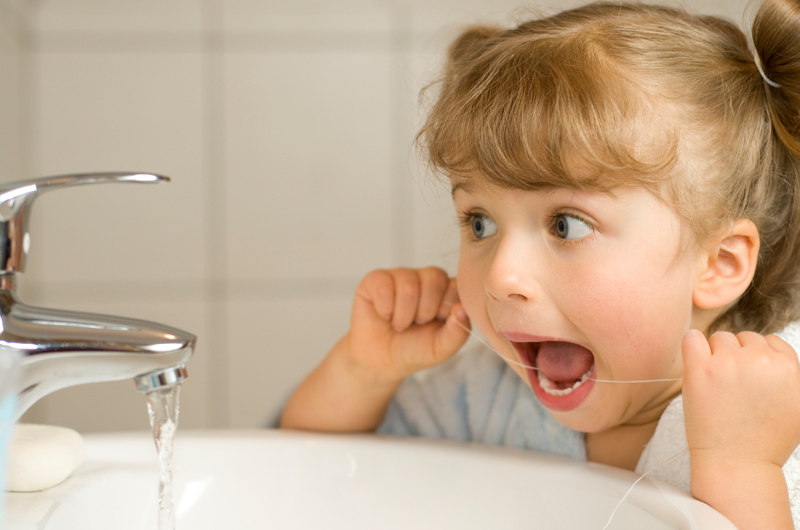 Instilling healthy flossing habits from a young age makes it easier to encourage later on. Keeping baby teeth healthy actually plays an important role in the development of the adult teeth too, preventing infection and proper growth that will reduce the need for straightening later on. Talk to your dentist about tips for making brushing at home with young children easier and more fun. Playing a song or making a game of it is helpful, but try to avoid rewarding good brushing etiquette with treats, because it sends the wrong message in the long term. Before teeth begin to grow, wipe away plaque with a damp, clean cloth. 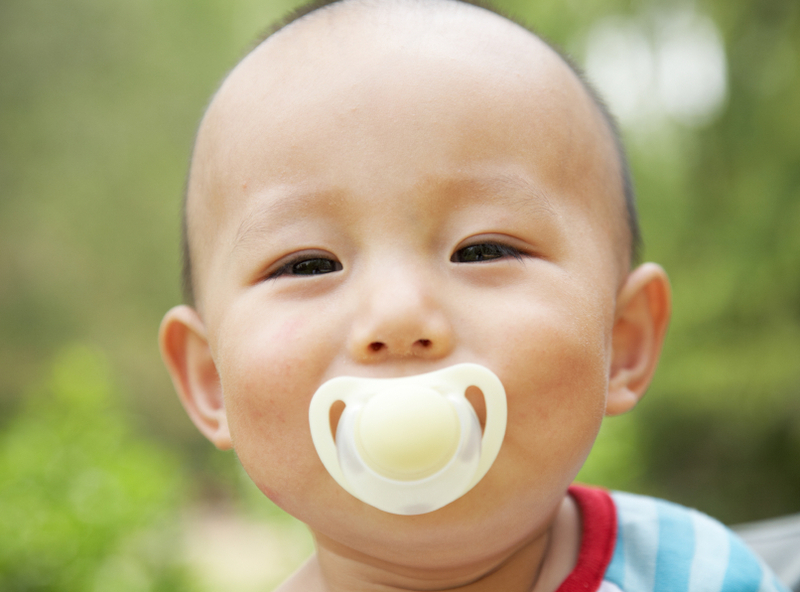 When it comes to pacifiers and teethers, parents need to be careful not to create a dependency and we recommend limiting pacifier use as much as possible. Prolonged pacifier use can create a bad habit and also causes teeth to grow in improperly, leading to orthodontics work later on. You should limit teethers to before the 2nd birthday and remember to clean all items regularly with hot water, not soap. A dirty pacifier can cause bacteria to grow in the mouth, leading to infection and other problems. Do not use your own saliva to clean a pacifier. This common practice has been determined to transfer germs that can lead to additional decay. Cold teething rings help to ease the pain of teething and are excellent alternatives to a pacifier, without the side effects. The right dentist for your children will depend on a number of factors in your life, from schedule, pricing and location. However the most important factor is finding a patient dentist who is used to and comfortable with children. Particularly if your child is a bit nervous at the dentist, finding the right doctor is crucial. Do not settle for someone based on convenience, meet with your dentist before hand and build a relationship. Starting at a young age, you’ll be more comfortable and so will your children. Once you have found the right dentist, be sure to get into the habit of regular visits. Consistent, bi-annual cleanings will save money in the long run, even if you are not on an extended benefits insurance plan. In office dental cleanings are more complete and thorough than brushing and flossing, and if you practice good at home care with regular check-ups, you can avoid unnecessary fillings or even root canals. If your children do experience anxiety or fear at the dentist, it can be difficult for parents and the dentist. It’s another reason why we encourage establishing a relationship early on. If that is not possible, or if you’ve had a bad experience with a dentist, you will need discuss this concern with your dentist, rather than hoping for the best. An honest, open discussion can lead to modifications in the treatment plan, from alternative non-invasive procedures to slowing down treatment and even sedation options for older children. Dental anxiety is a common and very real problem, so it is best not to ignore it or avoid it. Doing so can lead to more trouble later on and many patients who never overcome their anxiety avoid the dentist as adults. Of course local anesthetics have improved over the years, but for some patients intravenous sedation or subscription medication are a good way to relax patients of all ages. Talk to your dentist about the best options for treatment. Regular dental health and good cleaning aside, encouraging a healthy diet and low-sugar snacks is crucial to a healthy smile. Beginning at a young age, avoid surgery snacks and encourage healthy alternatives. When it comes to sweet drinks, do not use a sippy cup or a glass, always use a straw and encourage brushing 30 minutes after eating, especially when desert is involved. As with brushing and flossing, establishing good, healthy habits in diet at a young age will pay dividends later on in life. Avoid sodas, sugary gum, candy and other sweets except on special occasions. Encourage healthy, nutritious alternatives and eventually your children will form healthy habits that will stay with them for their entire lives. Everything in this blog is just the tip of the iceberg. For more on dental care for your children, speak to your local 123 Dentist and remember to look for future visits by the tooth fairy at your local clinic, because you never know when she’ll stop by with goodie bags and dental tips for the kids. Are you following all suggestions in this blog and what could you improve in your own child’s dental care? Remember that the most important gift you can give your children are the tools to live happy, healthy lives.